T.J. Miller at the 2015 San Diego Comic Con International in San Diego, California. 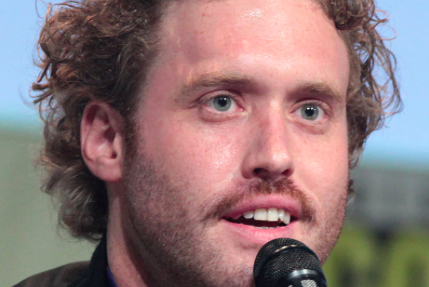 Add comedian and former "Silicon Valley" star T.J. Miller to the list of public figures who may not realize that joking about bombs is grounds for an arrest — and maybe some time in the slammer. First it was Green Bay Packers wide receiver Trevor Davis allegedly wise-cracking about explosives in a travel companion's bag. Agents with the Transportation Security Administration didn't find it funny and he was arrested. On Tuesday, the U.S. Attorney's Office in Connecticut announced charges against Todd J. Miller, best known for his previous role as pothead Erlich Bachman on HBO's "Silicon Valley." Miller is accused of phoning in a false bomb threat on an Amtrak train on March 18. He was arrested Monday night at LaGuardia Airport in New York and released on a $100,000 bond. The charges carry a maximum imprisonment of five years. Miller, hours after his release, tweeted about performances set for this weekend at Philadelphia's Helium Comedy Club. What up Philadelphia. Illadelphia. Me and @CJSullivan_ are about to wreck it this weekend. My girl Cork is on the case, @HeliumComedy is the jam. And peanut butter. Prosecutors allege that Miller, 36, called a 911 dispatcher in New Jersey and reported that he was on Amtrak Train 2256 traveling from Washington, D.C. to New York City. He allegedly claimed that a female passenger had a bomb in her bag and appeared to be checking it anxiously, with an apparent desire to leave the train without it. When an investigator phoned Miller in New York, the comedian's description of the woman allegedly changed. The officer detected a slur in Miller's voice and asked him if he had consumed any alcohol that day, according to prosecutors. Miller allegedly admitted he'd had a glass of red wine. The officer then asked him if he suffered from mental illness. Investigators later determined that Miller had been aboard Amtrak Train 2258, not 2256. When it arrived in Westport, Connecticut, the train was stopped and evacuated while bomb squads searched for evidence of explosives. Nothing suspicious was found on the train. An attendant on the train told investigators Miller "appeared intoxicated" when he boarded the train in Washington, according to prosecutors. The attendant said he consumed multiple drinks on the train and was removed in New York due to his intoxication. Miller had also been involved in what the attendant called "hostile exchanges" with a female passenger in First Class. Investigators interviewed this woman and determined she was not behaving as Miller described and would not have been in his sight line for most of the train ride, unless he had repeatedly checked on her. Prosecutors allege that Miller was motivated by a grudge against this woman to report a false bomb threat on the train. Contacted Tuesday afternoon, Helium Comedy Club declined to confirm whether Miller is expected to perform in Philadelphia this weekend.